rrowheads are the most easily identified type of archaeological artifact. Most people in the world recognize an arrowhead when they see one: It is a stone object which has been deliberately reshaped to be pointy on one end. Whether they've personally collected them from nearby farmlands, seen them in museum displays, or just watched them being shot into people in old western movies, most people know the triangular tips of arrow shafts called arrowheads are the remnants of a prehistoric hunting trip, the spent shotgun shells of the past. But why do archaeologists insist on calling them "projectile points"? 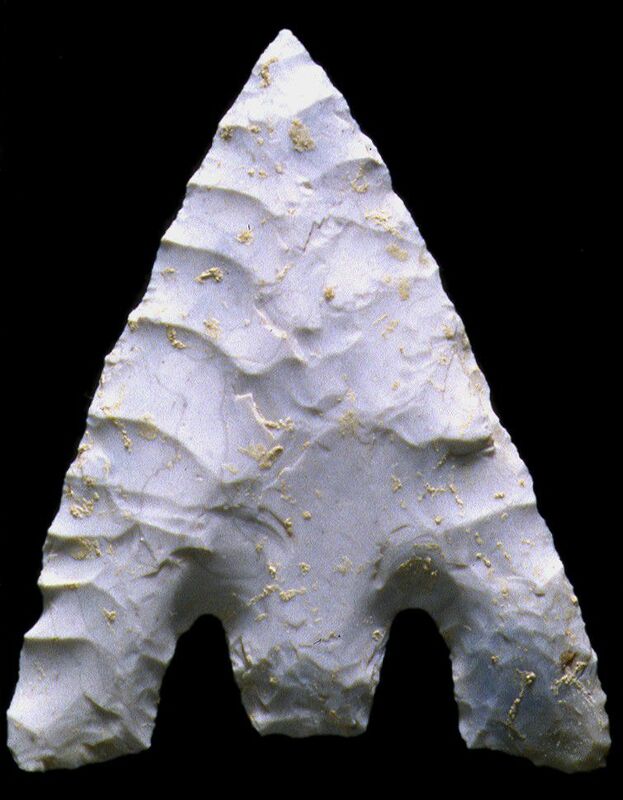 Archaeologists typically call what regular people call arrowheads "projectile points," not because it sounds more academic, but because the shape of a pointy stone does not necessarily categorize it as something that was used at the end of an arrow shaft. "Projectile" is more inclusive than "arrow." Also, in our long human history, we have used a wide variety of materials to put sharp points on the ends of projectiles, including stone, wood, bone, antler, copper, plant parts, and other raw material types : Sometimes we just sharpened the end of a stick. The purposes of projectile points have always been both hunting and warfare, but the technology has varied a great deal over the ages. The technology that made the first stone points possible was invented by our distant ancestor Homo erectus in Africa during the later Acheulean period, circa 400,000–200,000 years ago. This technology involved knocking bits of stone off a hunk of rock to create a sharp point. Archaeologists call this early version of stone-making the Levallois technique or Levalloisian flaking industry. During the Mousterian period of the Middle Paleolithic beginning around 166,000 years ago, Levalloisian flake tools were refined by our Neanderthal cousins and became quite numerous. It is during this period that stone tools were probably first attached to spears. Spear points, then, are projectile points that were attached to the end of a long shaft and used to help hunt big mammals for food, either by hurling the spear at the animal or by thrusting it into the animal at close range. A great leap in hunting technology was made by Homo sapiens and occurred during the Solutrean part of the Upper Paleolithic period, about 21,000 to 17,000 years ago. Known for great artistry in stone point production (including the delicate but effective willow leaf point), the Solutrean people are also probably responsible for the introduction of the atlatl or throwing stick. The atlatl is a sophisticated combination tool, formed out of a short dart shaft with a point socketed into a longer shaft. A leather strap hooked at the far end allowed the hunter to fling the atlatl over her shoulder, the pointed dart flying off in a deadly and accurate manner, from a safe distance. The sharp end of an atlatl is called a dart point. By the way, the word atlatl (pronounced either "at-ul at-ul" or "aht-lah-tul") is the Aztec word for the throwing stick; when Spanish conquistador Hernan Cortes landed on the eastern shore of Mexico in the 16th century CE he was greeted by atlatl-wielding individuals. The bow and arrow, a rather more familiar technological innovation to fans of John Wayne movies, also dates at least to the Upper Paleolithic, but it likely predates atlatls. The earliest evidence is 65,000 years old. Archaeologists usually call these "arrow points," when they recognize them. All three types of hunting, the spear, the atlatl, and the bow and arrow, are used today by sportsmen around the world, practicing what our ancestors used on a daily basis. Maschner, Herbert, and Owen K. Mason. "The Bow and Arrow in Northern North America." Evolutionary Anthropology: Issues, News, and Reviews 22.3 (2013): 133–38. Print. Vanpool, Todd L., and Michael J. O'Brien. "Sociopolitical Complexity and the Bow and Arrow in the American Southwest." 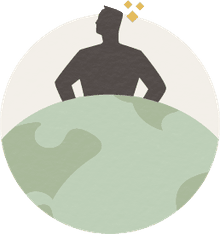 Evolutionary Anthropology: Issues, News, and Reviews 22.3 (2013): 111–17. Print.